If you are envisaging moving to Jersey as a High Net Worth (HNW) or private individual we can help you at all stages of the process. We understand that your time is precious so we can provide as much or as little support as is required. 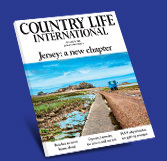 Having experienced teams on Jersey, we are able to provide you with an independent and un-biased overview of both, helping you to make an informed decision about Jersey being the right place for you to make your home. We also have good relationships with officials within the governments of Jersey. We have worked closely with the Locate Jersey team and are able to make personal introductions to the High Value Residency Director in Jersey. All of which can help us to make the right introductions to facilitate matters for our clients and guide them through the process for High Value Residency in Jersey. We are able to undertake confidential and impartial feasibility research in the first instance if required before going to the first stage of making a enquiry, to see if the Channel Islands will work for you as a Private/HNW resident.